The iPhone is one of the most popular lines of smart phone around, with total sales having surpassed the 500 million mark. Its popularity and wide range of functions has helped to change the way people use the internet, allowing them to view online media as they travel. Netflix has been available on the iPhone via its App Store for a number of years, enabling users to watch films, television shows and documentaries on the device. However, with no region switching function, Netflix subscribers are seemingly restricted to the content available in their particular region, unless they find away around the problem. After signing up for a Netflix account and installing the Netflix app, a customer will be provided with access to the content for their region. Detection of a user’s region is automatic and takes place by making use of information such as IP address and DNS settings and the Netflix app offers no way to manually switch regions. This is problematic for some users, who wish to gain access to content which is only available in certain parts of the world. 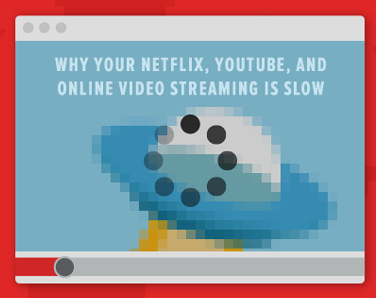 However, there are several online services which can help Netflix customers to circumvent geographical blocking by making it appear as if they are located elsewhere in the world. An alternative to Smart DNS comes in the form of Virtual Private Networks, which are able to offer a more comprehensive security setup. VPNs work by encrypting all of a user’s internet data and feeding it through a server elsewhere. The user is then allocated the IP address of that server, obscuring their true online identity. By adopting the IP address of the server they are connected to, users can trick Netflix into believing they are in that location. As a result, Netflix will provide them with the content library for that region instead. However, VPNs can cause a loss of internet speed and the setup process is usually slightly more complicated. The iPhone runs on the iOS operating system, which makes VPN setup considerably easier than it is on other smart phones. This is because many Virtual Private Network providers offer great iOS support, including dedicated apps. Popular examples of VPNs with good iPhone support include ExpressVPN for IPhone, VyprVPNs great iPhone Client , the easy to use iPhone App from IPVanish and the iPhone App of HidemyAss with almost unlimited server locations.. Detailed setup guides for individual VPN services will usually be available on their websites. Once the setup process is complete, users can simply log in, connect to a VPN server in the Netflix region of their choice, then launch the Netflix app and gain access to that region’s content library. Smart DNS technology is specifically designed for streaming media and offers a way of bypassing geographical restrictions without causing slowdown. Put simply, Smart DNS works by re-routing a user’s DNS queries through a proxy server located elsewhere, which offers support for a set number of websites or online services. The re-routing tricks websites into thinking a visitor’s activity is originating from the location of the server. However, visits to websites which are not supported by the proxy server are not re-routed and remain unaffected. As a result, it is important to select a Smart DNS service which offers Netflix support, like SmartDNSProxy or Unlocator. You can get a better comparison of SmartDNS for iPhone on this site. Open ‘Settings’ and click on ‘Wi-Fi’. Select the network you are currently connected to. Select ‘DNS Settings’ and delete the current settings. In the field, enter the DNS settings provided by the Smart DNS provider. Upon finishing the setup process, it is important to restart the device. Most Smart DNS providers allow customers to change their Netflix region from within their Smart DNS account. Once a user has adjusted their settings, they can simply load the Netflix app on their iPhone and gain access to the content for the region they have chosen.